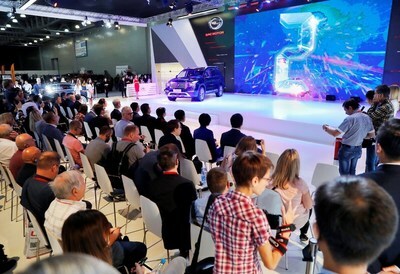 MOSCOW, Aug. 30, 2018 /PRNewswire/ — GAC Motor, China’s leading automaker, in the midst of its first debut at the Moscow International Automobile Salon (MIAS) with an all-star vehicle lineup and successful brand promotion event, has announced the official launch of the company’s first overseas subsidiary in Russia, GAC Motor RUS, along with plans to enter the Russian market in 2019. As its first oversea appearance since the company upgraded its corporate culture, GAC Motor displayed its premium vehicle models, including GS8, GA8, and its brand new GS4 at MIAS. Ms Zhao Qiuyan, Counsellor of the Economic and Commercial Counsellor’s office of the Embassy of the People’s Republic of China in the Russian Federation, Mr Li Shao, Vice President of GAC Group, Mr Zhan Songguang, Executive Vice President, Mr Gao Feng, Assistant President of GAC Motor, Mr Wang Shunsheng, President of GAC Motor RUS, as well as around 100 journalists from Russian local media and other international media have attended the press conference. 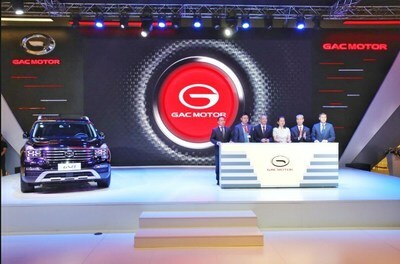 At the event, GAC Motor announced the official launch of GAC Motor RUS, the brand’s first overseas subsidiary, which is another important step to facilitate the company’s internationalization. The company also hosted a brand promotion conference during MIAS and launched a recruitment drive of Russian dealers to prepare for its entry to the Russian market in 2019. With its high-quality vehicles, GAC Motor aims to make its brand stand out in Russia and win the recognition of consumers in Russia and neighboring countries within 3- 5 years. 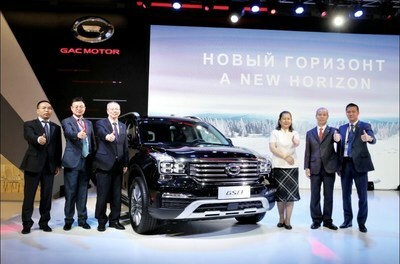 Many Russian media have been impressed and highly valued that the quality and design of GAC Motor’s upmarket vehicle models, such as the GS8 and GM8. The dynamics, durability and safety of these automobiles meet Russian customers’ demand in Russia, and they look forward to the brand’s release in 2019. GAC Motor, a subsidiary of Fortune Global 500 GAC Group, is a young and dynamic independent Chinese auto brand. Founded in 2008, the company has relentlessly followed a path towards internationalization. In just ten years, GAC Motor has secured its position as a leader in China’s automotive industry. Standing firm on excellent product quality and performance, GAC Motor has established sales and service networks in 15 countries and regions and has been named the “Best Chinese Car Brand” in multiple overseas markets and earned the trust of more than 1.3 million car owners worldwide. GAC Motor is committed to the ambition of building a world-class brand and a global company. After MIAS, the company will continue to introduce more high-quality products and enhance the brand’s popularity, reputation and influence in the Russian market with the brand mission of creating an enjoyable life of mobility for Russian customers. Founded in 2008, Guangzhou Automobile Group Motor CO., LTD (GAC Motor) is a subsidiary of GAC Group which ranks 202nd among Fortune Global 500 companies. The company develops and manufactures premium quality vehicles, engines, components and auto accessories. GAC Motor has now ranked first among all Chinese brands for five consecutive years in J.D. Power Asia Pacific’s China Initial Quality Study SM (IQS), demonstrating the company’s quality-centric strategy from innovative research and development (R&D), manufacturing to supply chain and sales & services.